Just a quick update with two new ships for my Bakka Fleet. 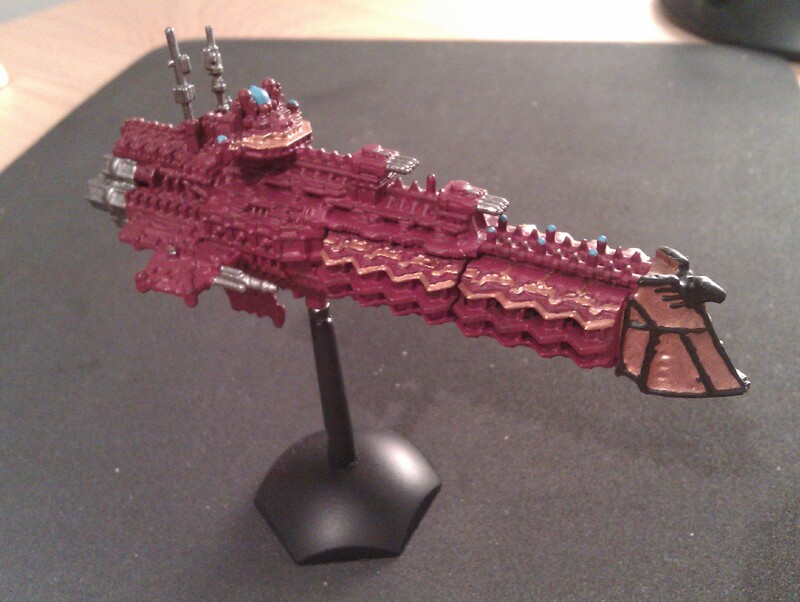 First up is the Jovian Class Battlecruiser, a unique ship from Battlefleet Bakka. 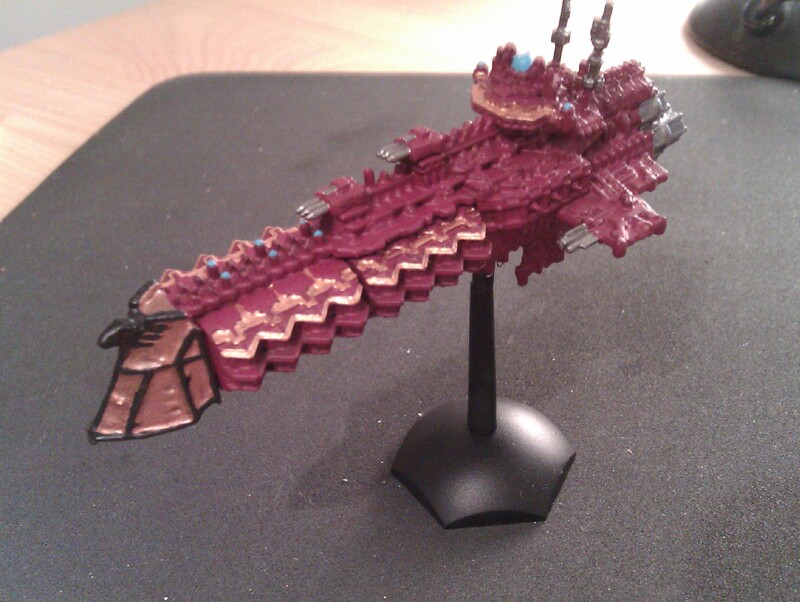 The Jovian is a typical Imperial Battlecruiser with a difference. As a attack carrier is has three launch bays on each side along with two 60cm dorsal lances. In addition to this, it receives +2Ld when the enemy is on special orders thanks to its improved sensor array. As a reserve vessel, I reversed the prow colours, but otherwise kept the ship the same as the rest of the fleet. The only other change was drilling a few extra holes just behind the bridge in order to mount some extra antennae. In game it helps to plug the severe ordnance deficiency that the Bakka fleet has although because of its delicate nature it needs to be well protected to survive. Previous postLooking forward to 2015!